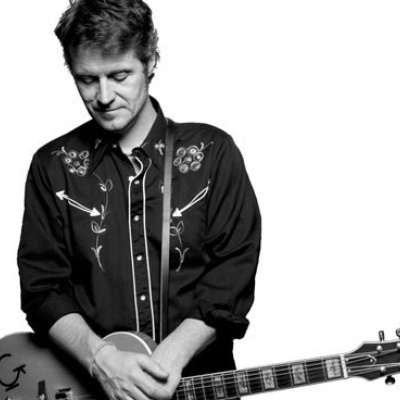 Jim Cuddy (born December 2, 1955 in Toronto, Ontario) is a Canadian solo artist as well as one of the lead singers of the renowned Canadian country band Blue Rodeo. He has produced two solo albums. Cuddy is married to actress Rena Polley and together they have three children: Devin (born 1987), Emma (born 1988), and Sam (born 1992). The Jim Cuddy band features musicians like Bazil Donovan, Colin Cripps, and Gavin Brown. Guest performers have included Cripps' wife Kathleen Edwards, Sarah Harmer (former Weeping Tile member), and Jeff Tweedy (of Wilco).